Last week we had some friends over for cocktails and desserts. Believe it or not, I did not get one picture of the set up we had. Incredible, I know. It was a pretty looking set up too. We had some gin (of course), rum, and whisky and I scoured around the refrigerator and pantry and found some fun stuff to make cocktails: fresh ginger, pomegranate seeds, cucumbers, limes, lemons, grapefruit juice, mint, basil, honey, spiced iced tea, and tonic water. We had a pretty good time mixing up different cocktails for those who were not drinking wine. A couple weeks ago, I bought a half dozen tartlet pans at a local bazaar. I’ve been wanting to make some tartlets for a while, mainly because when I make a large tart there are not enough people to eat it. 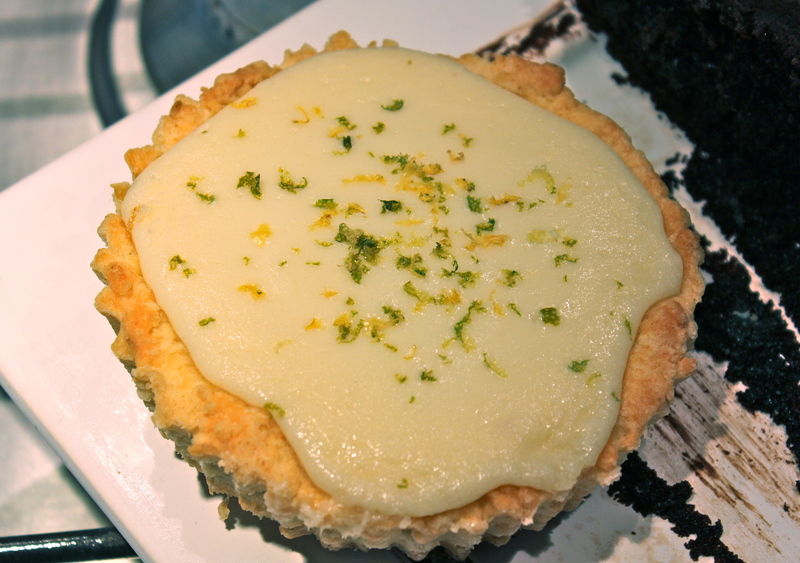 So I broke out the pans and found a yummy and easy recipe for lemon-lime tarts. The pastry is a simple sweet pastry dough. As I don’t have a food processor, I’ve been working on making my pastry by hand. It is of course a bit harder, but I think in the end will be worth the experience. I tried out Jamie Oliver’s recipe this time. It’s easy enough, but I didn’t work quite as fast as I should have, used a little too much milk, and worked the dough a little too long. The pastry was still good (can’t really go wrong with butter and sugar), but wasn’t quite as flaky as I would have liked. The filling is like a simple pie filling, like what you use for key lime pie – just sweetened condensed milk and lemon and lime juice beaten until it starts to thicken. Then pour it into the pre-cooked crust, back in the oven for about 8-10 minutes and then chilled for an hour or more in the refrigerator. Getting them out of the pans was a new experience. I think if you’re making any kind of tartlet other than this, like if you make something with berries, you need to pre-cook the crust, let it cool, then remove it before filling. Otherwise you wouldn’t be able to get it out of the pan without ruining the prettiness of your tart. All in all, I think it was pretty tasty, but the texture could have been a bit better. 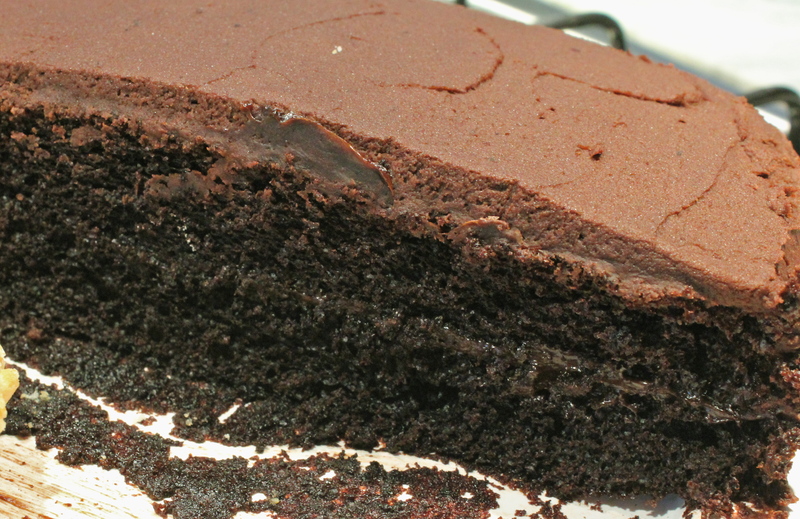 For the man in my life, I made a decadent dark chocolate cake with a dark chocolate-mint mousse filling a la Mrs. Julia Childs and a chocolate-mint frosting. It’s like a thin mint cake. I basically took the recipes and added some good mint extract to the mousse and the frosting. Jesse, you really found a winner here. I hope you don’t approach 300 lbs like I did!